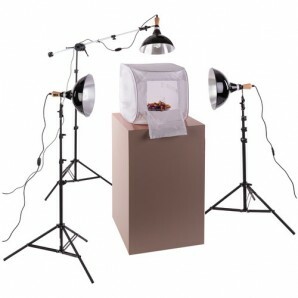 This iStockOnline Three-Light Fluorescent Digital Light Shed Kit is built around three Impact floodlight kits and a shooting tent. 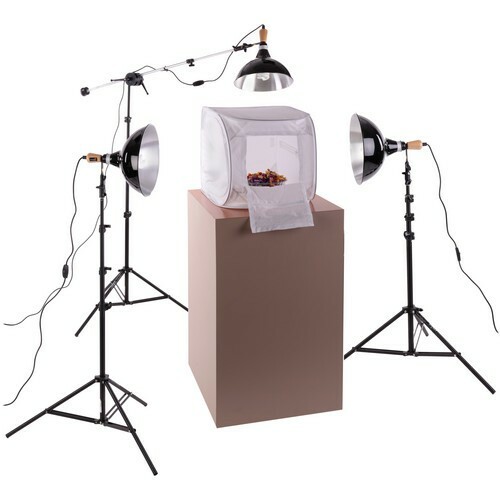 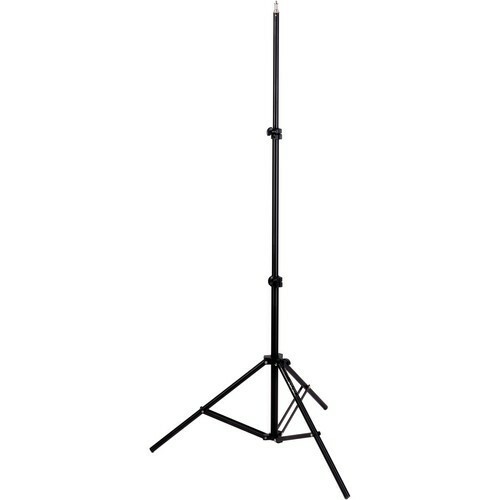 It consists of three Impact floodlights with reflectors, three daylight balanced 30W fluorescent 120V bulbs, three stands and one mini boom arm, and the Impact Digital Light Shed medium sized (15 x 15 x 23"") shooting tent. The Light Shed can be lit from the sides, top, back, front or can be placed on a shooting table for bottom illumination. 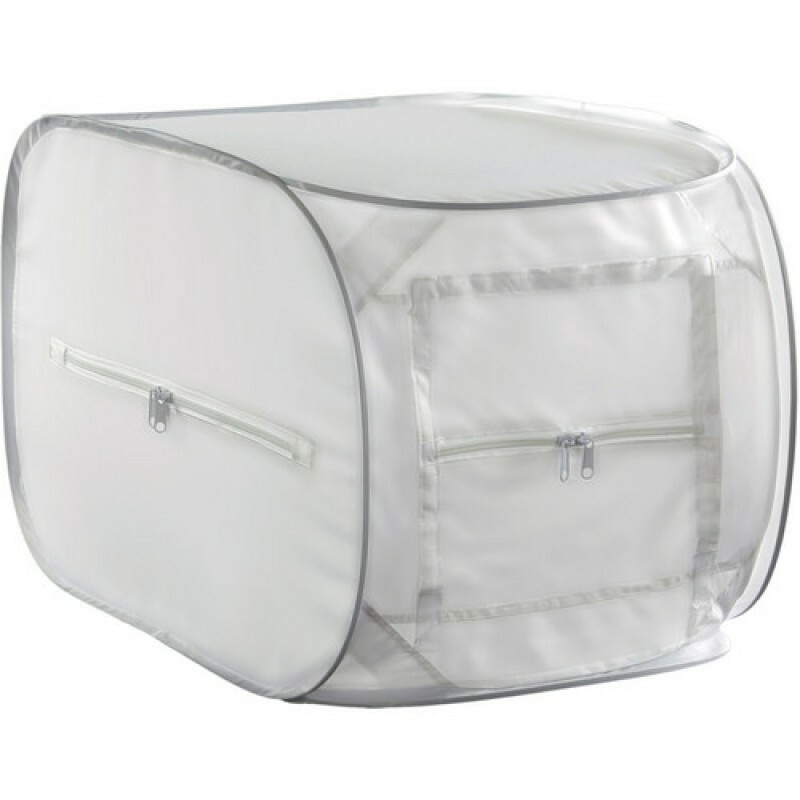 It includes a removable white, and a black plastic base, offering alternative backgrounds. 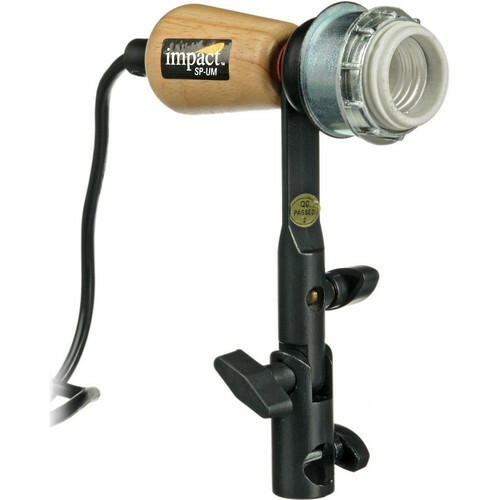 This kit also includes the Impact Mini Boom Arm, which allows lighting from over the top of the light shed, or underneath the light shed (when set up on your glass table). 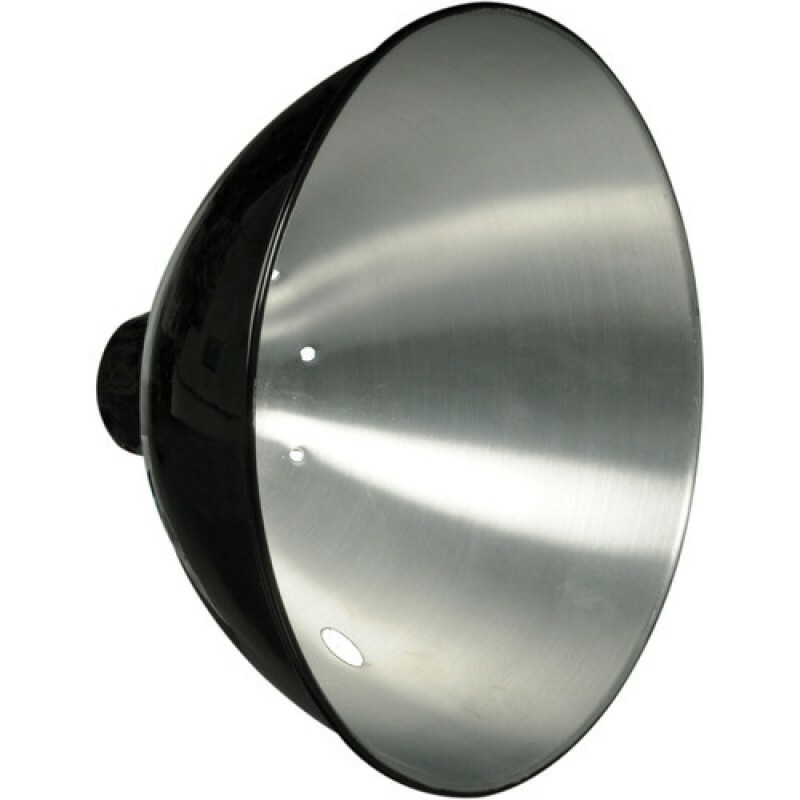 Each floodlight features a high heat ceramic socket and all high heat metal that won't melt like units with plastic sockets. It also features a wooden control handle that stays cool, and includes a built-in adjustable umbrella mount. 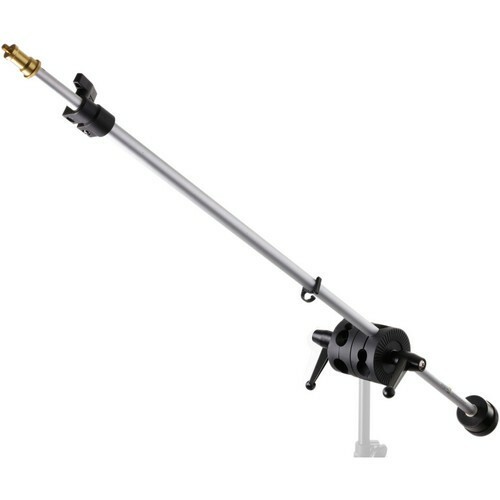 The attached cord comes with an in-line switch. 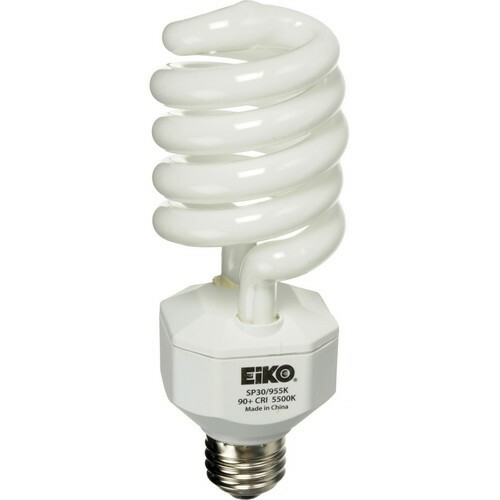 Although this kit is supplied for use with 120 AC voltage, it can function with 220-240 voltage, with the appropriate optional bulb, and adapter plug, available separately.